In 2002 I began to realize the world was changing around me. I was twelve years old and, due to my Middle Eastern descent, already shaving more body hair than your average middle aged man (I went through puberty early. I’m not bragging, it was miserable). After years of being the talkative class clown throughout elementary school, I was broadening my jokes into more perverse subjects. This taste for the obscene led me into more trouble than I can remember. Eventually, I figured out how to read people better and scan my surroundings for teachers and adults that would frown upon my vulgar jokes. By growing wiser and more cunning with age, I was even able to entertain those same adults with the jokes that made my younger friends and classmates laugh. Over the years, weapons were added to my arsenal of humor to make me an unstoppable force of comedy. I prided myself on being able to make even the most uptight people crack a smile at whatever innately immature dialogue they overheard me spewing. In those crucial years of development, I grew as a person, as all kids seem to do at that age. Those key decisions early in my life, shaped me for years to come. Similarly, in 2002, a new NFL franchise came into existence. Throughout years of pimples, bad dates, awkwardness, and uncontrollable hormones, that franchise parallels my journey to where I am today. 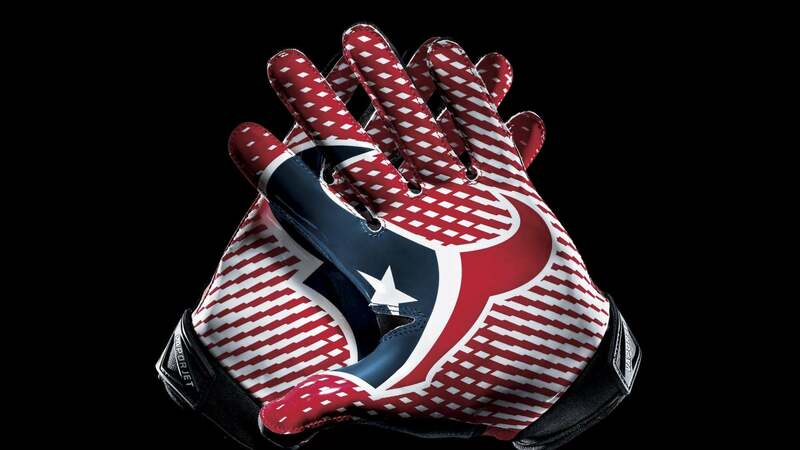 The Houston Texans became the newest franchise in the NFL that year. Football was brought back to Houston by Bob McNair after Bud Adams relocated the city’s Oilers to Tennessee. 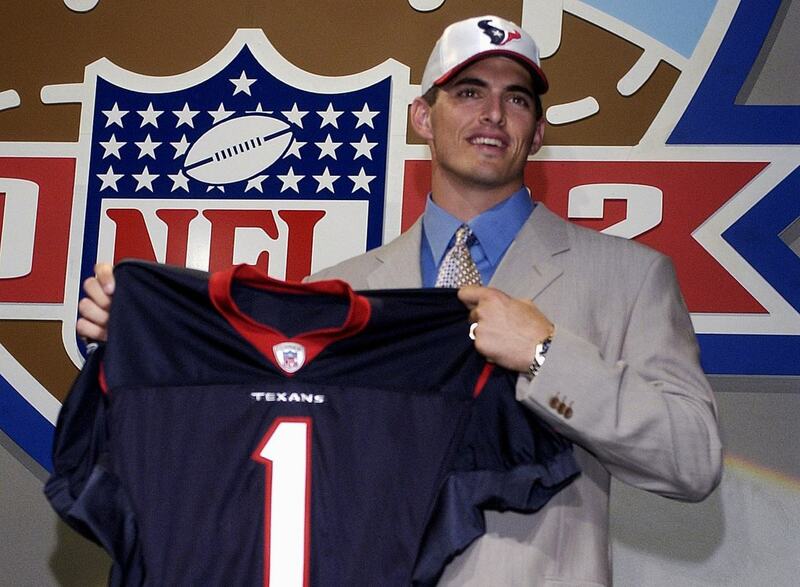 With the first overall pick of the 2002 draft, the Texans took David Carr from Fresno State. Dom Capers led this expansion team in those developmental years where every decision had major, unforeseen consequences. Reflecting back on that team and myself in those years, time felt like it was just filling space. Admittedly, at twelve years old, I’m not deciding life or death on the playground. I wasn’t ever in a position of power to make a real impact on anything. Much like myself, the Texans weren’t going to have any kind of impact on the NFL as a whole during those awkward, transition years. Whether they were obsessively cutting hairs that were sprouting from a new spot seemingly every day or perfecting the technique of a stealthy tuck into their metaphorical waistbands, the city slowly learned the intricacies of being an NFL team again. After a handful of years figuring out how to exist, the team started to form a new identity and made changes. Before the 2007 season, the Texans had a new coach, general manager, and quarterback. We entered into the Gary Kubiak, Matt Schaub, and Rick Smith era. As the team began to flirt with success, I was attempting to perfect my success with flirting. As my luck would have it, we coincided all too well. Strides were made, noble efforts occurred, but the dreams of scoring in the Super Bowl remained dreams (there’s a pun there, I promise). To summarize those adolescent years of that era, things never quite fell into place. In December of 2011, I was 21 years old. Things were looking up. I was beginning to figure things out. I had one year left before graduating from Texas A&M University. I had some internships and thought I had a pretty solid resume written up for when I would graduate. I began to date this new chick that seemed really special. Similarly, the Texans were on pace for their best season in franchise history. They had drafted a promising rookie that year who seemed to be the missing piece to push them to the next level. That girl I started to date is now my fiancée, and that rookie we had drafted was J.J. Watt. So I guess one could say 2011 was a pretty big year for the Texans and myself. Almost exactly 2 years later, things seemed unstable. The Texans were in the midst of what would eventually become their 2-14 season. Matt Schaub and Gary Kubiak had lost whatever it was that made those previous two years so special. Personally, I had been in the harsh environment of post-college life where I disliked my job and missed the feeling of happiness that college friends and untested cockiness provided. Even my list of gift ideas to give my girlfriend for holidays and birthdays had slowly dwindled to nothing. This is how we got here. Although our GM, Rick Smith, remained from the previous era, not much else was left unchanged following the 2013-2014 season. Gary Kubiak and his coaching staff had been let go. The new and current era of the NFL’s youngest team was underway. In 2014, the Texans hired a new head coach, Bill O’Brien. Since his hiring, many difficult choices have been made. Benchmarks to the team such as Andre Johnson and Arian Foster have been cut. The organization has gone through more quarterbacks than a junkie goes through needles. These changes may be difficult, but sometimes life forces them onto you. The year O’Brien was hired, I started a new job. Just a few short months after I proposed, the Texans proposed a huge contract to Brock Osweiler. After two years into this new era of the Houston Texans, the foundation has been put in place. The building blocks are there, it’s a matter of seeing how the land is used. In 2016, the world continues to change around me. I’m not the same twelve year old kid who was pushing the limits of what was comfortable to those around me. Likewise, the Texans are no longer the new expansion team discovering their place in the NFL. What happened to get us here will remain a part of our identities forever. I look forward to seeing what the future holds for myself, the Texans, and all of you. I’d like to invite you all to follow me as we explore this uncertain future together. Literally follow me on twitter @TheJimmyJal too.